Does your belt always, exactly fit your waist size? It's that time of year again! Holiday eating is here. In the next few months you'll most likely find yourself gathering around a table with your closest family and friends eating way more than you really need. We all do it. But does your belt perfectly adjust to your changing waist size? Most likely not. Most traditional belts have a buckle with a pin and 5 holes in the leather that are an inch apart. And the holes are never in the right place. And what happens when you loose a little weight or in this case, gain a little weight from over eating. Your only option is an adjustment hole a full inch away. GoTo Belt - Has NO HOLES and utilizes a track system, hidden on the back of the belt, that gives you 1/4 inch adjustment points for ten full inches of belt. That's 40 adjustment stops. And rather than testing out which hole is the best hole for you on any particular day, with the GoTo Belt, you just insert the belt and snug tight to fit perfectly. It's quick, easy and precise. If you want to loosen a bit, or take the belt off, just pull the small tab and easily adjust the belt. And since the track on the back does all the work, you will NEVER experience belt kink, wear marks or the ugly stretched holes found on traditional belts. The GoTo Belt will look and fit great for many holiday seasons. So go right ahead and have a second serving. Your GoTo Belt will fit you perfectly every day. 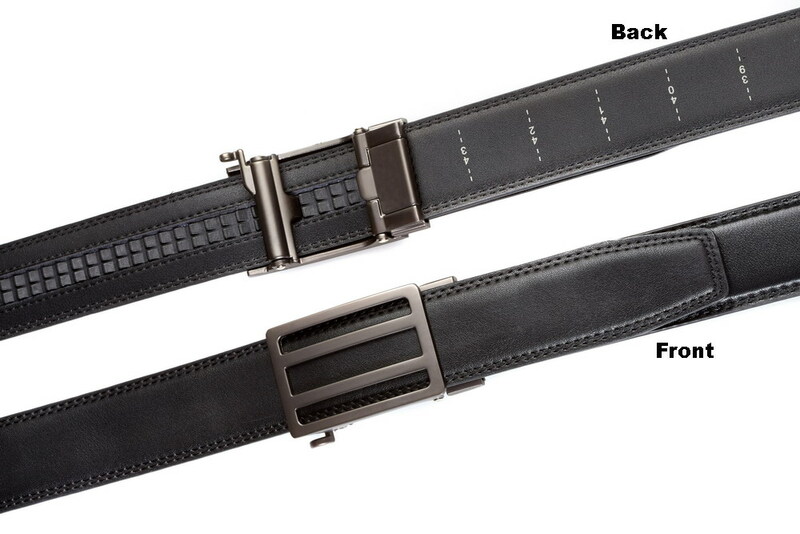 GoTo Belt is currently on Kickstarter. Click here to see our project on Kickstarter.